Great location to watch Humpback Whales in British Columbia is between Northern Vancouver Island and Prince Rupert on the Northern Coast. Humpback Whale fluke, Megaptera novaeangliae, British Columbia, Canada, North America. 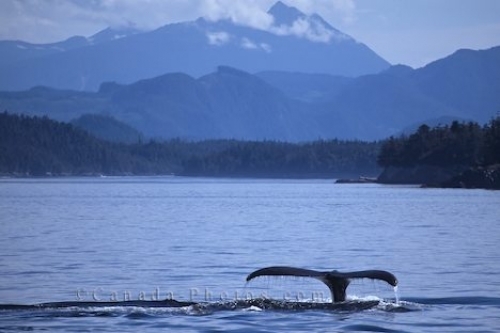 Here you can find a great story/report about whale watching in BC (British Columbia).